Automotive accidents are bad enough by themselves, but the recovery process can make the unpleasantness drag on and on long after the accident itself. At Tri-County Spine and Rehab, the best auto injury chiropractor in West Chester, we can provide you with a drug free, surgery free solution to injuries from auto accidents. Broken bones take a long time to heal, and can greatly reduce mobility while they are healing. They may also require a long period of physical therapy after they have healed. In an auto accident, the head is often whipped about on the neck, causing whiplash. This can lead to a painful inability to move your head, pain, numbness, vision loss, and hearing loss. Spinal cord damage can cause painful herniated discs, numbness, and even paralysis. Many spinal cord injuries can require surgery or even cause lifelong health and mobility problems. Concussions are a common result of auto accidents, as are bleeding in the brain and skull fractures. The tremendous forces involved in an accident can easily stretch and tear muscles, ligaments, and tendons. The pain from these injuries can be intense and long lasting. Immediately after a collision, you are usually just thankful to still be alive. The shock of the accident and the rush of adrenaline often push any awareness you might have of physical injuries right out of your mind. This means that the signs of an injury, even a serious injury, might not become apparent until later. 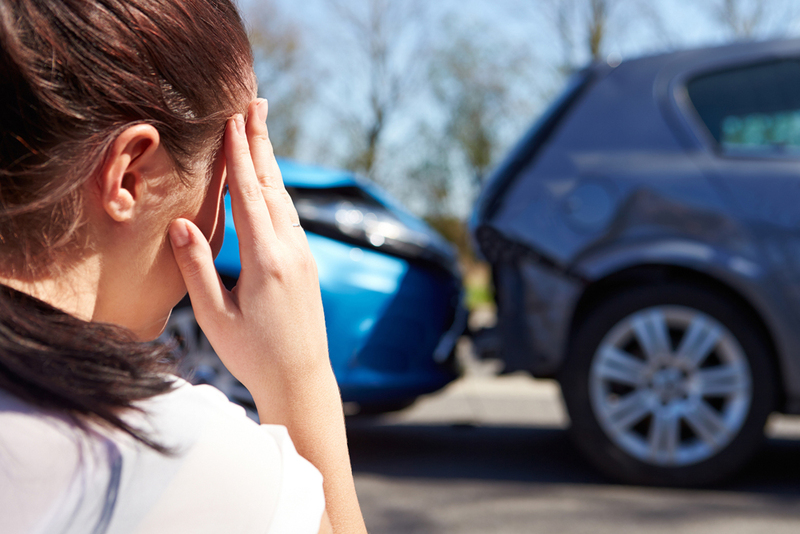 For many of these car collision injuries, chiropractic care is the best treatment. It realigns the spine, making it exceptionally effective at treating whiplash, herniated discs, and a wide variety of back injuries. Chiropractors can also stretch the spine, a procedure called spinal decompression, taking pressure off of nerves that have been pinched by a misaligned spine. Even after the injuries from a crash have healed, you can still need a lot of recovery. A chiropractor is also well qualified to provide physical therapy services, from posture-correcting exercises to rehabilitation exercises. Chiropractors can even help with soft tissue and muscle injuries, via shock wave treatment. This treatment uses sound waves to increase blood circulation in the injured tissue, speeding the healing process. This can be bolstered with chiropractic massage. Let Us Help! Contact Tri-County Spine in West Chester and Rehab Today! If you've been in an auto accident, even if you do not feel any injury right away, you should see a good auto injury chiropractor in West Chester. At Tri-County Spine and Rehab, we can put you on the road to recovery, and even discover injuries you may have missed before they become a problem. Call to make an appointment today at (513) 671-6713.